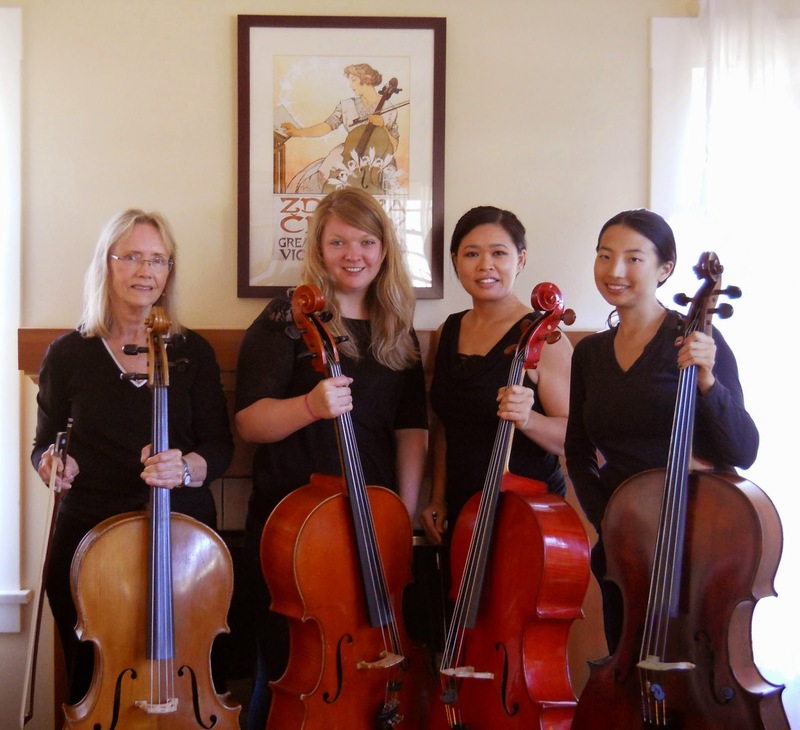 Join us for a program featuring various show pieces for cello quartet, including a Telemann Concerto and arrangements of popular American folk tunes. The Charity Cellos met while playing together in the Oakland Civic Orchestra, a volunteer community orchestra funded by Oakland Parks and Recs. We cellists really love our instrument, and it is our opinion (and we hope you agree) that out of the four instruments in the violin family, the cello has the most dynamic and emotive range -- with the depth and power of our lower strings up to the singing, voice-like tones of the upper registers. It is this wonderful range that allows each cello to cover the range of parts that make up a quartet. We hope to share our love of the cello through public performance while also inspiring support for community and charity organizations. "Peace In Ourselves...Peace In Our Communities...Peace On Our Planet"
Bringing together mindfulness practice, peacebuilding leadership skills, the art of mindful living in daily life, community service, and public action, Mindful Peacebuilding promotes a mindfulness-based approach to building a culture of peace on our planet and is open to all who wish to engage with societal challenges in a mindful context. We are a diverse, inclusive networking organization which offers mindfulness-based listening circles, meditation and study groups, holiday gatherings, retreats, community service, and encouragement for public action, as well as coaching in mindfulness-based peacebuilding practice. Current areas of focus include: working with elders and young people to transform and heal historical harm; cultivating mindfulness in prisons and schools; offering meals at a shelter for young adults who are homeless; supporting awareness and action related to climate change, access to clean water, and plant-sourced food; and communicating wisely and compassionately in the midst of strong emotion. Mindful Peacebuilding is a 501(c)(3) nonprofit organization. All contributions are tax-deductible. Suggested Donation: $10-$20 at the door. All contributions are tax-deductible. Seating is limited. This event is sold out. Thank you for your interest.